The secret starts with an authentic pizza base, a great sauce and lastly is using only a few fresh ingredients. 1. Stir yeast and sugar into lukewarm water, using a fork. Let it stand for about 10 minutes. 2. Mix the flour and salt in a large bowl. Mix the B-well canola olive oil into the flour and stir for 2 minutes. Pour yeast mixture and beaten egg into flour mixture and stir to make a stiff dough. 3. Turn dough out onto a floured work surface and knead until springy and smooth, about 8 minutes. Place dough into a floured bowl and cover with a piece of plastic wrap wiped with a thin film of olive oil. 4. Let dough rise until doubled, about 1 hour. Punch down and roll out to desired shape and add your favorite pizza, cheese and toppings. 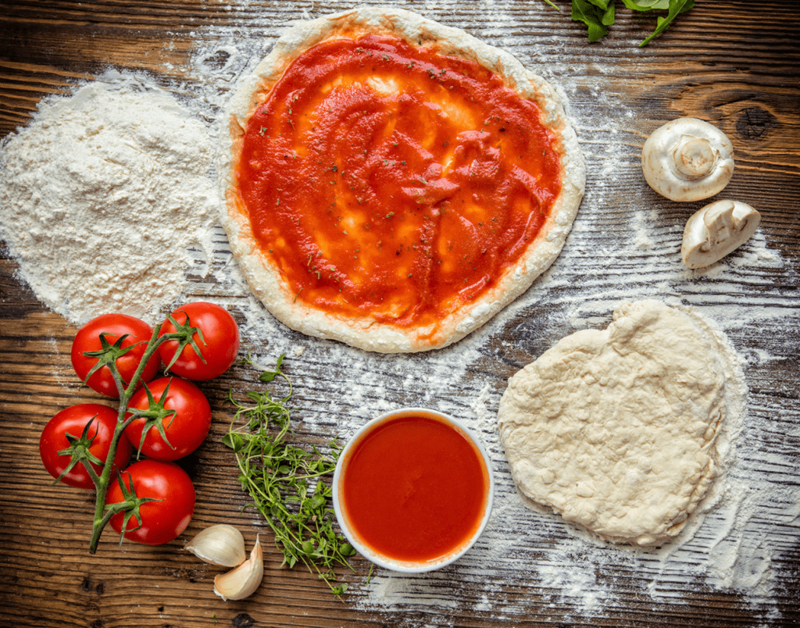 We will do a follow up recipe for a great pizza sauce but first you need to learn how to make an awesome and authentic Italian pizza base.